Howe Healthy is Your Heart? 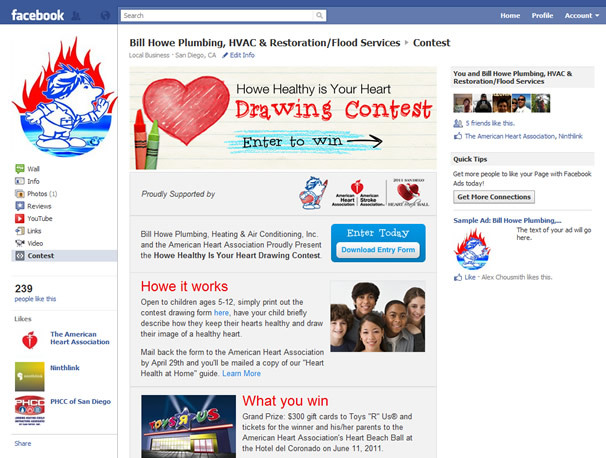 Today is the first of the month, and we are happy to announce our latest custom Facebook tab, and accompanying website, as we at Ninthlink had the pleasure of working with Bill Howe Plumbers on their new “Howe Healthy is Your Heart” Drawing Contest, in partnership with the American Heart Association! The Healthy Hearts Contest also brings with it some of the AHA’s Healthy Heart Tips, like info on healthy foods under $1, how to make fast food friendlier, and more. 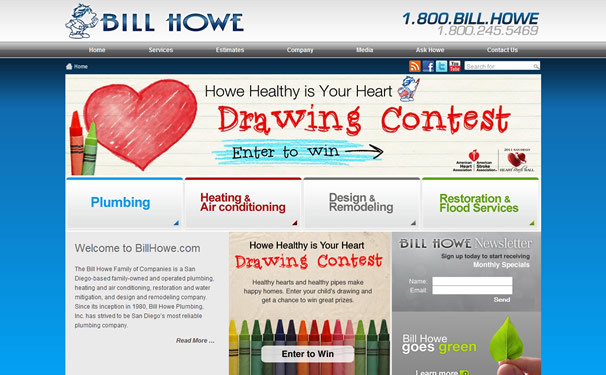 The contest, “to have your child draw their image of a healthy heart and briefly describe how they keep their heart healthy”, is open to children ages 5-12. We invite you to check out their Facebook tab, and visit their website for all the rest of the info. Howe Healthy is Your Heart?